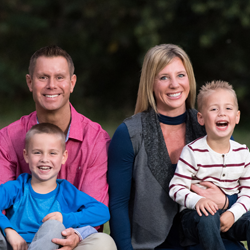 Frisco chiropractor Dr. Jason Venn combines focused specialization and a broad range of services to provide the best care in the area. 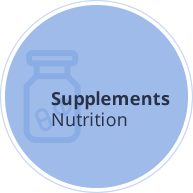 Our passion is to help our patients achieve their ultimate health potential and get the most out of life. Venn Chiropractic and Wellness Center, we’re proud to offer patients of all ages and walks of life precise and comfortable care in our warm and inviting office. We operate a true “wellness” clinic and want to help patients get well and stay well for life, which is why we’ll put together a custom care plan for your specific needs. From pregnant mothers to children, grandparents and everyone in between, no matter where you are on your health journey, we’ll meet you there and help you get where you’d like to be. and get started on YOUR road to wellness. Thank you for listening and caring. After everything our family has been through I am grateful for such a positive and caring experience. 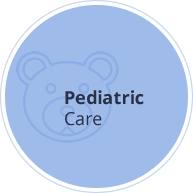 Dr.Venn is very professional and knowledgeable. I highly recommend him and trust him with my health and wellness! 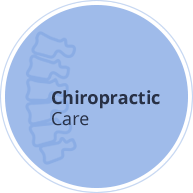 I’ve seen a number of Chiropractors over the years and this was one of my better experiences. Dr. Jackson was very knowledgeable, helpful and explained my condition and treatment in great detail. Everyone was very helpful, respectful and polite Looking forward to my next visit. It was AMAZING!!!! I feel so much better. The staff is so cheerful and helpful!!! The office is inviting and warm. The Dr. is so very informative and kind. It was a pleasurable experience overall! I really loved Dr. Nicole. I was very nervous for my first visit and very frustrated with the problems I have been experiencing. I am hopeful that Dr. Nicole can help me. Your office staff was very friendly as well. My first appointment/adjustment was amazing. I have over 20 years of experience with chiropractors and have never experienced an adjustment like that. Seems I’ve been missing out on the Gonstead method all these years! Dr. Venn was great. The staff is also very warm and friendly. I had a wonderful experience with Dr. Nicole. 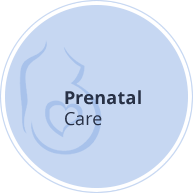 I was slightly nervous since I am pregnant as well, but she quickly put my mind at ease, and my experience was exceptional. I would highly recommend Dr. Nicole to any pregnant woman with aches and pains or just for proper alignment for delivery. Dr. Nelson was amazing! I have been so scared for years to go to a Chiropractor and I am thrilled I found this practice. From check-in to my adjustment and after, was absolutely wonderful. I am very hopeful that Dr. Nelson will get me back to feeling like me. Thank you! I highly recommend seeing her! If you want to feel young again. Go see Venn. Dr Venn and staff were very professional and helpful. I already see a difference in my back. Not being a fan of visiting the doctor by any means, I was treated like family on the first call made to make my appointment. Once I arrived at 3:15 for a 3:30 appointment it was all pin point on time. Their explanations where easy to understand. At a true attention to my health was top priority! Love Dr. Nicole she is amazing! Best Bed side manors and friendly staff! Felt like we had been friends for years! After a few years of severe pain in my neck, and prior chiropractor visits to other practices, I was extremely nervous to have my neck adjusted. Dr. Venn’s approach was different than what I had experienced before. It wasn’t painful at all. He was very informative and his staff is great. Dr Jackson and Annette are amazing!! Staff is kind and very helpful. Dr. Venn is amazing!!! Everyone was truly pleasant to work with and my first adjustment I left feeling so much better. Dr. Nicole, was clear in her explanations and treatment plan and I’m confident with the care she’s providing. I look forward to continuing my visits ad Venn Chiropractic. Dear Dr. Venn, Thank you so much for seeing Kara! She had suffered from headaches for a very long time. Kara had consulted doctors and even spent a few days in the hospital at one point. No one was able to determine the cause of her pain or to provide any long term relief. Since she has visited you, she has not complained at all about headache pain. I heard you tell several stories of people who were cured of more than just back pain and I wanted to send you someone myself to see if you could help them. I have to admit, I am very surprised that you were able to help Kara. Thank you for helping me. I thank God that you are in Frisco serving this community. Dr. Nicole Jackson was fantastic!! She explained everything so well and was extremely friendly. Felt a difference after one visit. Confident in my care with Dr. Nicole. Great experience. I’ve been looking for a doctor like this for many years. I am very happy to have found them. Amazing and professional staff! Dr. Venn’s knowledge and approach is unique and personalized. I truly appreciate his candid communication to explain realistic health goals that focus on my back issues that are currently bothersome. 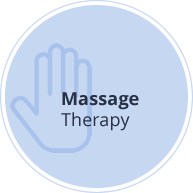 I also love the option to book massage appointments at the same office. Overall great experience! Felt very comfortable, and the staff and doctor were very attentive and friendly. Dr. Venn was very gentle. I was nervous about being adjusted because I was in pain & he explained everything step by step as he adjusted & it made it a great experience! Thank you! Great Dr and staff explained everything in detail. Absolutely amazing doctor! So impressed by Dr Venn’s knowledge, eagerness to help & explanations. I’ve been to many Chiropractors over the years, but hands down, The Best I’ve personally experienced! Evening of my first adjustment, already feeling so much better!! I’m very happy with the results. Thank you so much. My first visit to the office went great. The office staff was great and helpful! Dr. Venn was attentive to my health concerns and addressed all my questions. I was in such severe pain, I am looking forward to my next visit because I am so much better! I appreciate how thorough Dr. Venn was and how he wanted to make sure I understood everything he was telling me.